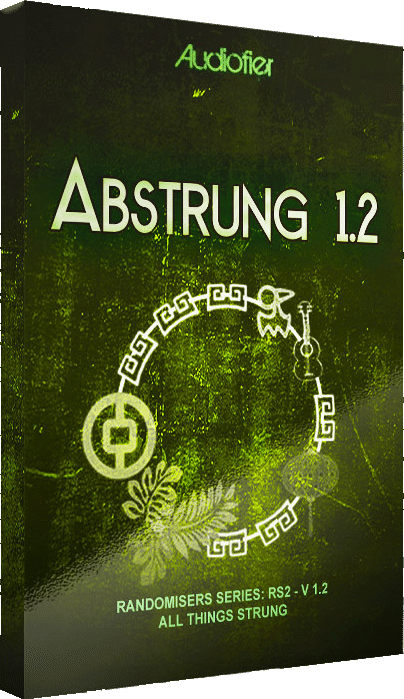 “Abstrung” is a unique entry point into the world of hybrid sound design based entirely on a unique selection of stringed instruments like GuZheng, Mandolin, Pipa, American Zither, Hammered Dulcimer, Kantele, Acoustic Guitars, Acoustic grand, upright and prepared pianos and Seagull instruments among others. With 20.73GB of content in 6 categories plus flexible sequencers, arpeggiators, automation, filters, effects and a unique randomizer feature, the sound design possibilities are almost limitless! 20.73GB Of Inspiring Plucked & Bowed String Content! 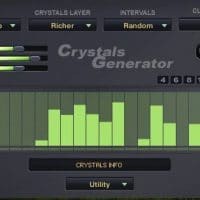 With 6 available sound categories including organic real instrument samples, modeled, synthesised, designed and spacey sounds, plus a huge variety of filters and effects, there is plenty of scope for you to get creative and make a sound that is uniquely yours! Enjoy A Stunning, Intuitive And Easy-To-Use Interface! The main navigation panel includes main controls and buttons for the two sound layers and it also includes the main randomisation buttons. It also has many pages and panels which include all the different controls. 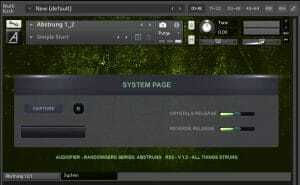 MAPPING MENU – This allows you to control the way the two sounds are mapped to the keyboard. 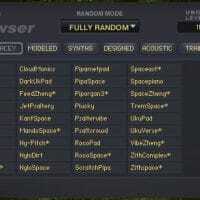 Choose between Single, Dual and Random modes. 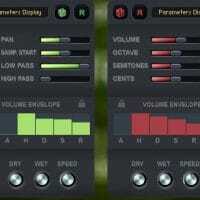 SPLIT POINT – Define the keyboard split point for the two loaded sounds. 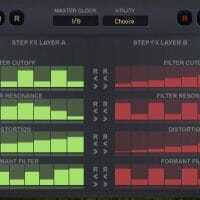 SCALE MANAGER – Allows you to define a specific scale the instruments will play in. SCALE BEHAVIOUR – Choose between Higher, Lower and Random. PANNING OPTIONS – Choose between None, Wide and Random. SOUND SOURCE MENU – Load a sound into each group. BROWSING ARROWS – Use these to flick back and forth through the sound sources. QUICK OPEN BROWSER BUTTON – Allows you to access the browser menu. REVERSE BUTTON – Click this to reverse the chosen sound source (Mod Wheel controls speed). QUICK POWER BUTTONS – Switches on the Step Sequencers for Layer A and Layer B. By clicking on the Random button, the randomiser engine will create a new sound, modifying both main sound sources, Trails and effects. 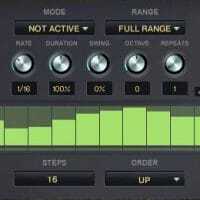 Get Creative With Effects, Sequencers & Arpeggiators! Use two simultaneous step sequencers with 8 memory slots, changing sequence on the fly via key-switch. Record your sequences by playing, not by drawing. Generate special delay lines that can be pitched and harmonised in triads, fifths, suspended or random for a total inspiring sound creation! Filter, and blur the Crystals with the Cloud filter. Grains can be more or less pronounced to one’s taste. Finish them up with distortion, phaser and an additional delay. 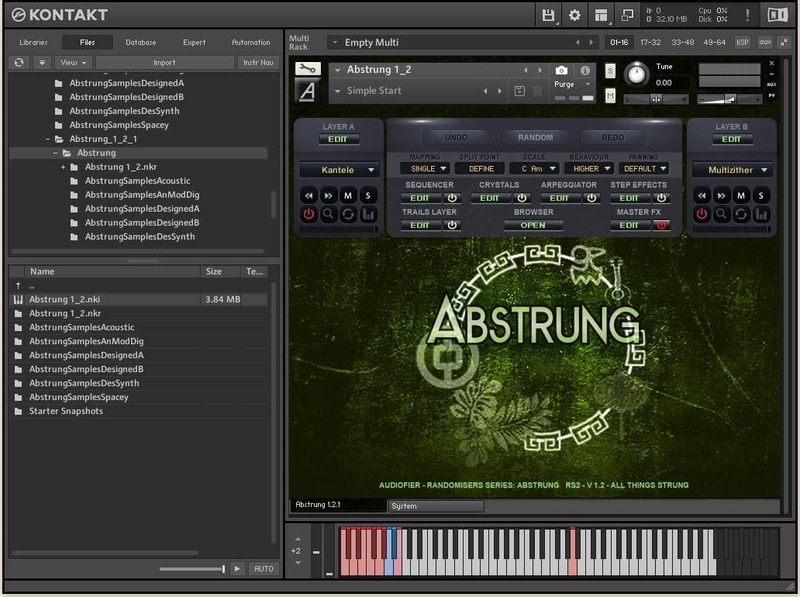 Arpeggiate short sounds or trigger sequences with the arpeggiator (yes you can!). Play sequencers and arpeggiator in parallel with 2 different sounds. 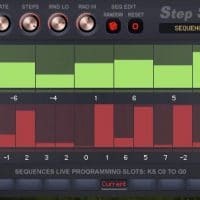 This allows you to add step sequenced effects to each sound layer individually. Choose from Filter Cutoff, Filter Resonance, Distortion and Formant Filter. 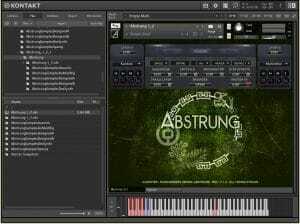 The Final Touch – Master Effects, Trails & MIDI Export! Plus the option to completely Randomise all of these! This is a collection of 20 ambient sounds that can enrich and enhance the overall sound. It also comes with a number of controls to help shape your trial’s sound including Velocity Sensitivity, Layer Volume, Layer Attack, Pitch, Pitch Envelope, Pitch LFO and the obligatory Randomisation button! EXPORT YOUR SEQUENCES AS MIDI – this gives you access to the Midi Drag & Drop feature. Generate sequence performances, export them into your DAW and edit them or assign third parties sounds to them. RELEASE SLIDERS – The 2 sliders in the System Page help to adjust the release time of the Crystals and reversed notes generated by the instrument. 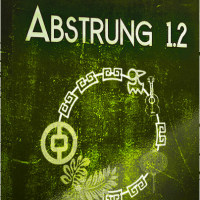 So What Exactly Can I Do With “Abstrung” by Audiofier? Normally €52 – get it at 75% off before it’s gone! 75% off the normal price (normally €52)! A unique selection of stringed instruments like GuZheng, Mandolin, Pipa, American Zither, Hammered Dulcimer, Kantele, Acoustic Guitars & Pianos. Export Your Sequences As Midi and import them into your DAW! Perfect for Cinematic Underscore, Ambient Music, Rhythmic Textures and Sound Design! "Extremely playable and interesting sounding right out of the box, this would be a welcome addition to the template of anyone interested in delving into the world of hybrid scoring and synth based music as well as a useful add on to the existing collection of any seasoned pro who finds themselves working in these types of styles. 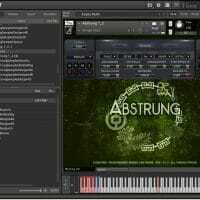 For anyone delving into the world of hybrid scoring, Abstrung is a no-brainer." 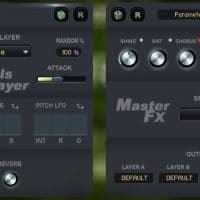 "Features like the Randomiser feature makes it incredibly easy to create new sounds quickly and the now available Kontakt snapshots. You can really dive into this library or simply create great tracks."